Made emergency landing in a parking lot. A civilian helicopter had a minor mechanical issue while enroute to San Carlos Airport. The pilot made a safe, controlled landing in the Kmart parking lot. Mechanics from the San Carlos Airport were notified and responded. They were able to fix the issue. At 6:26 PM the helicopter lifted off and returned safely to San Carlos Airport. The NTSB was notified, incident report taken. No injuries, no damage to the rotorcraft and no damage to public or private property. 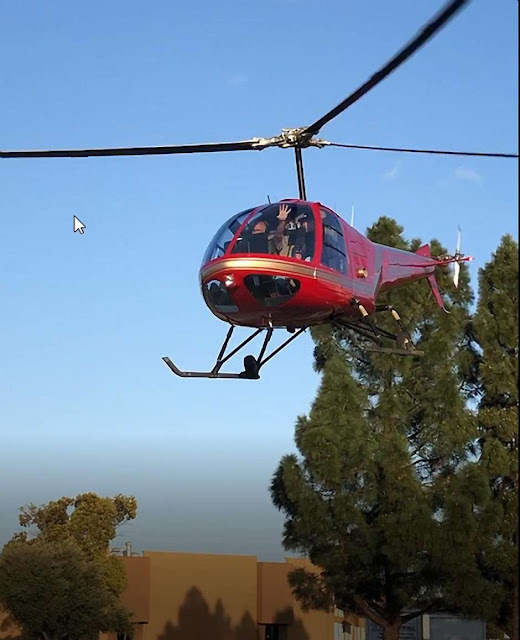 A private helicopter had to make a surprise landing in a Kmart parking lot in Redwood City late Saturday afternoon because of an unspecified minor mechanical issue, police said. The pilot, who was not identified, made a “safe, controlled” landing about 5:10 p.m. and received help from mechanics at San Carlos Airport, which is where the helicopter was headed when it ran into trouble, according to the Redwood City Police Department. Mechanics fixed the issue, allowing the aircraft to take off at 6:26 p.m. and fly safely to the airport, police said. The National Transportation Safety Board was notified and an incident report was taken, but there were no injuries or damage to the helicopter or any property.